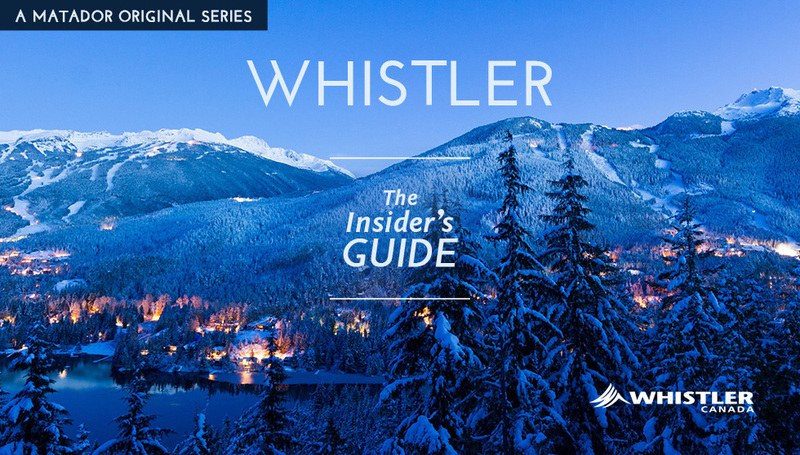 Matador is proud to team up with Tourism Whistler to present The Insider’s Guide, a 5-part video series giving you all the intel you need for your trip to North America’s premier ski mountain. Hosted by adventurer, travel writer, and TV host Robin Esrock, along with infamous Whistler Insider Feet Banks, the series covers everything from planning your trip and getting the most out of that epic BC pow — both on piste and off — to highlights of the famous Whistler Village and action-packed opportunities for kids as well as adults. Find all 5 videos below as we release them, or click over to whistler.com to watch and learn more.